Featured Peacebuilding Group: Forage Center for Peacebuilding and Humanitarian Education, Inc.
For the last Featured Peacebuilding Group of 2017, I’d like to feature the Forage Center. 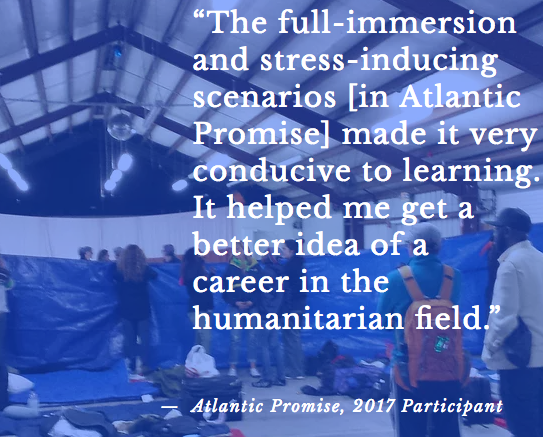 Established in 2015, we offer experiential-based opportunities for students and professionals to build their humanitarian and peacebuilding awareness and skills. If you are looking to make an year-end contribution to a 501c3 not-for-profit corporation, consider us. You can donate here. We are currently accepting applications for our March 2018 exercise to be held in Fellsmere, FL, USA March 15-18, 2018. For more information about the exercise, go here (which is also the registration page). This post in PCDN also talks about the program. If you are a graduate student looking for field experience in 2018 that builds your capacity to work in conflict and humanitarian situations, this is your program!